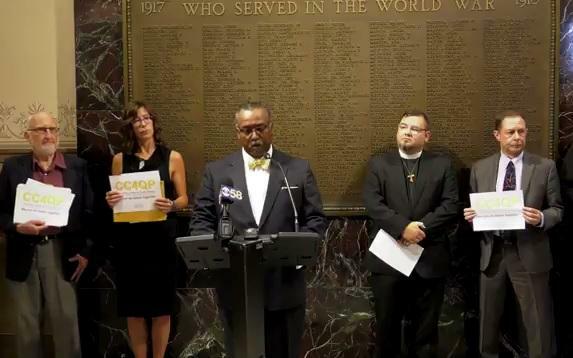 Fred Royal (center) represents CC4QP, calling for Independent Audit of the Milwaukee Police Department in August of 2017. Lake Effect's Audrey Nowakowski with Fred Royal of the NAACP-Milwaukee chapter & CC4QP. From the African American perspective, Royal says, there has never truly been a time in the city’s history of positive relations between the police and community. He cites the days of Chief Harold Breier, the "goon squad," and aggressive policing tactics as some examples of bad policing. Royal says the coalition is working to make change through building better police-community relationships. "You have a better understanding that these individuals are just that - human individuals - and you don't look at them as all being potential criminals." 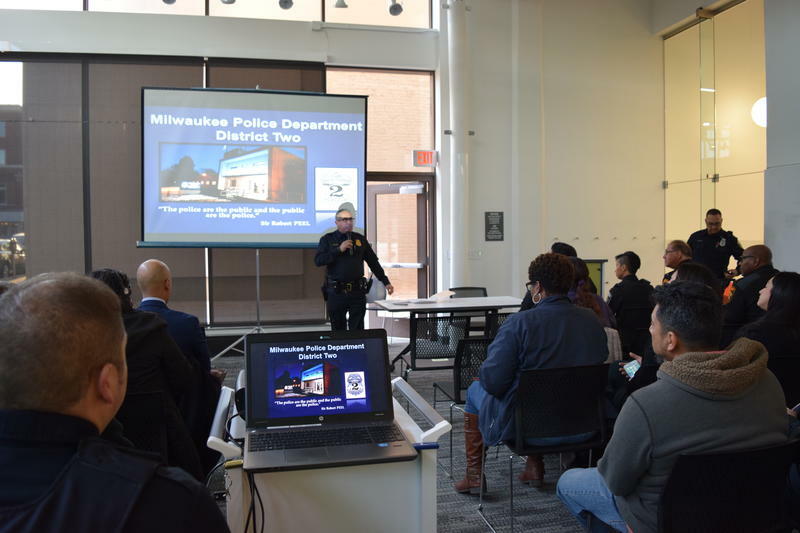 One example of this is that CC4QP is pushing the Milwaukee Police Department to adapt "the Cincinnati experience," which focuses their efforts on Problem-Oriented Policing. "Community policing is one in which we build relationships with one another. Problem-Oriented Policing is one in which we would look at the criminogenic behavior that drives a person into doing something unlawful and we address that criminology," Royal explains. If Problem-Oriented Policing is going to be implemented effectively, Royal says there needs to be an independent audit of the Milwaukee Police Department. 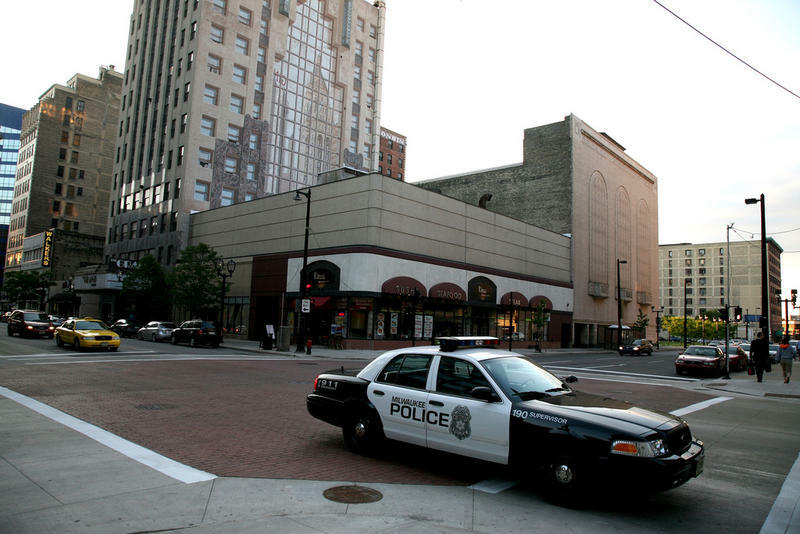 "I think that once that information has been collected...and summarized, that will go to the Common Council to hopefully usher in some improvement on those findings that the Department of Justice has already stated exist within the MPD." Another goal of CC4QP is to improve the morale within the police department, and one key component of this is ensuring that all officers' opinions and experiences are valued. "There are plenty of examples of good policing, but you have to have a leadership that encourages internal procedural justice - just as you have to have leadership that encourages external procedural justice and the legitimacy of a police force," says Royal. He also points to poverty and say that has to be dealt with in order to improve police-community relations for the long-term. "I still get extremely upset when I would hear Chief Flynn and Mayor Barrett talk about violence creating poverty, and we all know that it's the poverty that creates the violence." Royal adds, "Changing the culture of an institution doesn't happen overnight, so rebuilding trust...is not going to happen overnight." Despite past events and relapses in community-police relations, Royal is hopeful for the city's future under the momentum of new leadership. 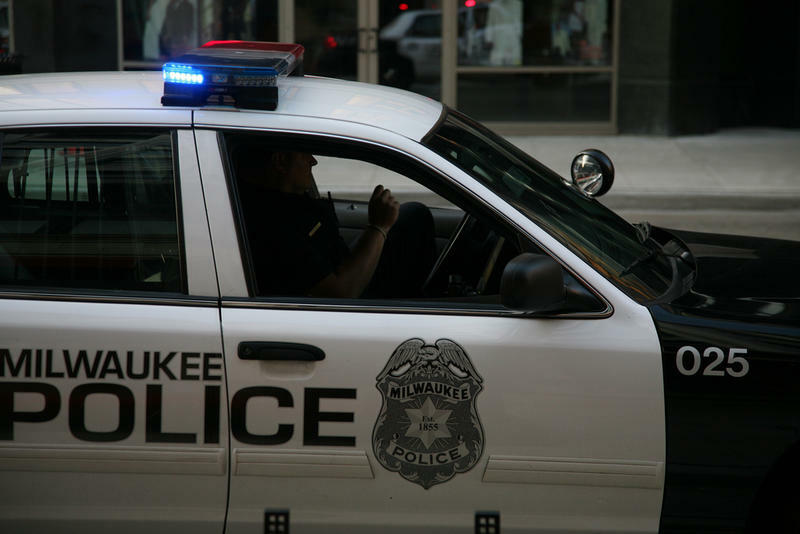 "I think that there are people that believe in this city enough, that believe that we have some good officers on the Milwaukee Police Department, and we have new leadership now that [change] is possible." The work of police departments around the country has been under particular scrutiny in the last year. Some high profile shootings by police – and of police - have strained the relationship between some departments and the communities they are sworn to protect.